You never know how long the things you love will be a part of your life, so I try to count each day spent with them a blessing. I took this picture of Scout in September 2012 as she slept in front of the window of the guest bedroom, having no way of knowing that exactly five months later we’d spend the day, her last day, across the hall in the main bedroom as cancer took her from us. I’m close to all our pets but even so Scout and I had a special bond and she truly was a blessing for each day of the almost twelve years we shared together. Always loved and always missed. 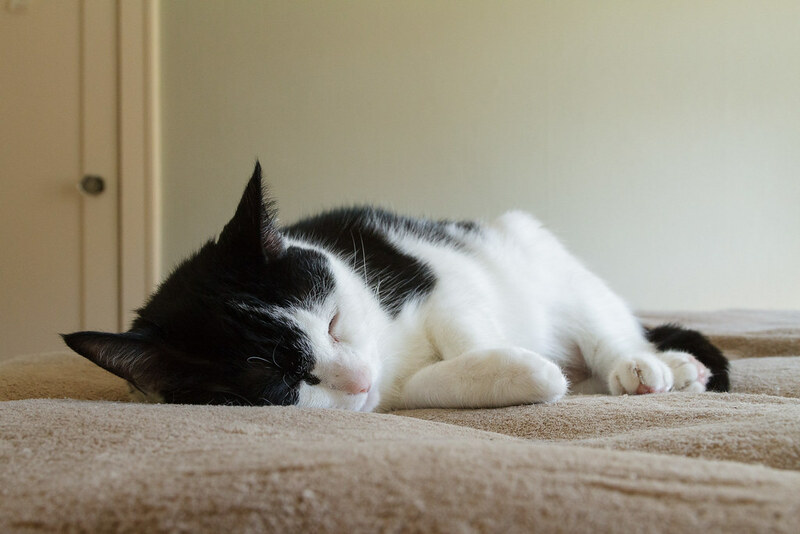 This entry was posted in Pets and tagged black-and-white cat, cat, Scout, sleeping. Bookmark the permalink.